One of the best ways to get to know a person is to have a genuine conversation. And marketers at consumer foods giant General Mills say it's those authentic conversations with their customers that are teaching them how to do business better than ever. "Our conversations with customers are very reactive. And what those convos do for us is maintain that affinity for the brand, for the product, for the flavor," says Fred Gorrochotegui, senior social media strategist at General Mills. "Nowadays, you have to address problems — immediately," he says. "If we don't do that, we lose control of the brand. Even though we can't guarantee that every product will be perfect, we can promise that if [customers] have an issue — and they call us out on it — we'll do what's right." Gorrochotegui says, however, that the sheer number of brands in the General Mills family and enormous amount of customers made it hard to organize — or even recognize — the conversations about the myriad properties. The company owns nearly 90 leading brands in the United States alone and numerous others across the world, including Betty Crocker, Cheerios, Nature Valley, Pillsbury, Progresso and Yoplait. "There was no order," Gorrochotegui explains. 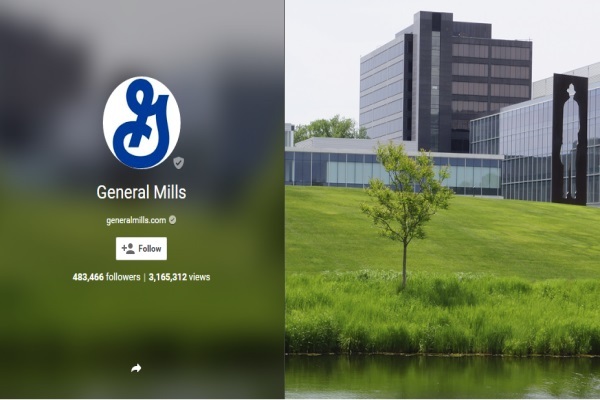 He says that his five-person team handles 32 General Mills properties on social media — but was without an organized system of response or specific ways to create or enter conversations. "Just imagine. We didn't just have to deal with our 32 different properties, but 64 separate accounts — basically a Facebook and Twitter account for each of the properties," Gorrochotegui says. "We're talking about remembering passwords, remembering IDs. We couldn't really tell what the last person [at General Mills] did. We couldn't even tell who posted a response." Gorrochotegui says his team simply couldn't grow that way. There are two separate marketing teams at General Mills: the brand team and the consumer relations, social media engagement team. Gorrochotegui heads up the engagement team. "[The brand team's] job is to build and create the community. Our job is to interact with the community," he says. So with tools from social media platform Spredfast, Gorrochotegui and his team set out to organize their social interactions with customers and engage in genuine, responsive conversations. He says, with new tools social marketers at General Mills are able to create one seamless conversation with each customer, humanize interactions, respond to concerns or compliments, and most important pull insights from each conversation. "I think it's fair to say that it's not as much about the problems as it is about the insights that come from those conversations," Gorrochotegui continues. "For example, we oversee Toaster Strudel, and for some time now, we've been seeing customers talk about how they don't think there's enough frosting in the little packet that comes with the Toaster Strudels. So that's an insight that we gained from social." @GeneralMills Thanks for getting back to me. The #glutenfree community appreciates it, as does my #celiac daughter! Gorrochotegui says that General Mills aggregates all of this data and uses it to release products that meet customers' expectations and demands. "These conversations were happening regardless. So we had to take it upon ourselves to get with it," he says. Gorrochotegui says the results, although hard to measure at times, have been encouraging. In the company's May social media report, the brand recorded nearly 3,600 responses to consumers on social media — that's some 2,600 on Twitter and nearly 1,000 on Facebook for more than 30 brands. "It's hard to measure impact because we're a consumer packaged goods company, and we really sell to retailers," Gorrochotegui says. "But, obviously, it's paramount to engage with shoppers. And for my [social marketing] team, that's the main goal." Gorrochotegui says his team and the entire company have always worked to engage customers. Social care, he says, just pushes them to the next level: "We were already good; now we're even better."